Dubai, UAE: Worldwide spending on global Halal food and lifestyle products could rise 10.8% a year until 2019 to create an international industry worth US $3.7 trillion, according to the latest Global Islamic Economy Report. Commissioned by the Government of Dubai and produced by ThomsonReuters in collaboration with strategy and research advisory firm DinarStandard, the report says the past year has seen major advancements in the global Halal food and lifestyle sectors. These include investments by a Brazilian Halal food provider in a UAE production plant, new Halal testing technologies from France, Malaysia and the Emirates and international marketing of Dubai as a new Halal and Islamic Economy hub. At the same time, the Halal tourism sector – a huge driver of food, beverage and hospitality sales – has also advanced following product investments in the UAE, the Maldives, Spain, Japan, the Philippines and Russia amongst others. The lucrative Halal tourism market now represents 11.6% of global tourism expenditure – excluding the busy Hajj and Umrah seasons – and is expected to be worth US $238 billion by 2019. According to the report, the Halal food sector alone will grow to a valuation of US $2.537 trillion by 2019 – up from US$795 billion in 2014 – equating to 21.2% of global food expenditure. The top countries with Muslim consumer food consumption are Indonesia, with a market worth US $190 billion, Turkey, where the market is valued at US$168 billion, Pakistan at US $108 billion and Iran, where the market equates to US$97 billion based on 2013 data. Meanwhile, Malaysia, the UAE and Australia lead the report’s Halal Food Indicator – a gauge that focusses on the health of the country’s Halal Food ecosystem in relation to its size. The UAE’s advancing status as an international centre for Halal food trading is evidenced by Halal World Food – the world’s biggest annual Halal food sourcing trade event – featuring more than 800 certified suppliers in only its third year. The segmented show-within-a-show concept at Gulfood 2016 returns to Dubai World Trade Centre ( DWTC ) from February 21-25. Becoming a trusted name and solutions provider in the global Halal food sector and a destination of choice for Islamic families are among the seven strategic objectives of the ‘Dubai – the Capital of Islamic Economy’ initiative launched in early 2013 by His Highness Sheikh Mohammad Bin Rashid Al Maktoum, Vice-President and Prime Minister of the UAE and Ruler of Dubai. Following successful editions of Halal World Food in 2014 and 2015, scores of major international retail buyers are already using the specialised Gulfood event as their preferred Halal food sourcing platform. With Muslim populations rising across the Middle East, Africa and Asia, major food retailers in Europe and the Americas are also exploring new avenues to augment stocks of Halal certified products on supermarket shelves. The growing international appetite for increasingly diverse, certified Halal food products is expected to see Halal World Food serve as an enabler in Dubai’s strategy to cement its credentials as a Halal food re-export hub – another strategic objective in the emirate’s Islamic Economy capital vision. The global Halal food sector also underpins this year’s two-day Gulfood Conference programme at the five-star Conrad Dubai hotel from February 22-23. The Gulfood Halal Forum – a dedicated summit on February 23rd – will examine the potential of and opportunities across the global Halal economy, the regulations and trade procedures behind exporting Halal products to the GCC, Halal food and Dubai’s economic ambitions, growing Halal demand and the ratification of new GCC standards and the global call for unified Halal practices. Confirmed speakers include Asad Sajjad, CEO, Gulf Halal Centre; Dr. Ashraf Ali Mahate, Head of Export Market Intelligence, Dubai Exports; Engineers Sarah Ahli and Yousef Almarzooqi of ESMA; Mazen Al Saleh, Manager of Strategic Execution, Islamic Finance; Sunjeh Raja, CEO of the Islamic Community Center Of Anchorage, Alaska; and Y. Bhg. Dato Seri Jamil Bin Bidin, CEO of the Halal Industry Development Corporation. 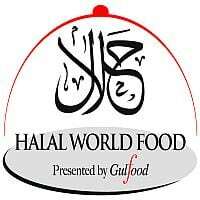 Halal World Food and the Gulfood Halal Forum are integral components of Gulfood 2016, the 21st edition of the world’s biggest annual food and hospitality trading platform. This year’s show will feature more than 5,000 international companies from 120 countries and 117 national and trade association pavilions – five more than last year – with first-time group participation from Russia, Costa Rica, Belarus, Mauritius and New Zealand returning after a six-year break. Gulfood 2016 is a strictly trade-only event for business and trade visitors. The show is open 11am-7pm from February 21-24 and 11am-5pm on February 25. Visitors can pre-register at www.gulfood.com to save AED100 (US$ 27) on the AED300 (US$ 81.70) on-site entry fee.